A move for the 2019 season was teased on the EKN social media network during the WKA Daytona KartWeek event in late December. This news in question has now become official thanks to a statement from CRG Nordam over the weekend. 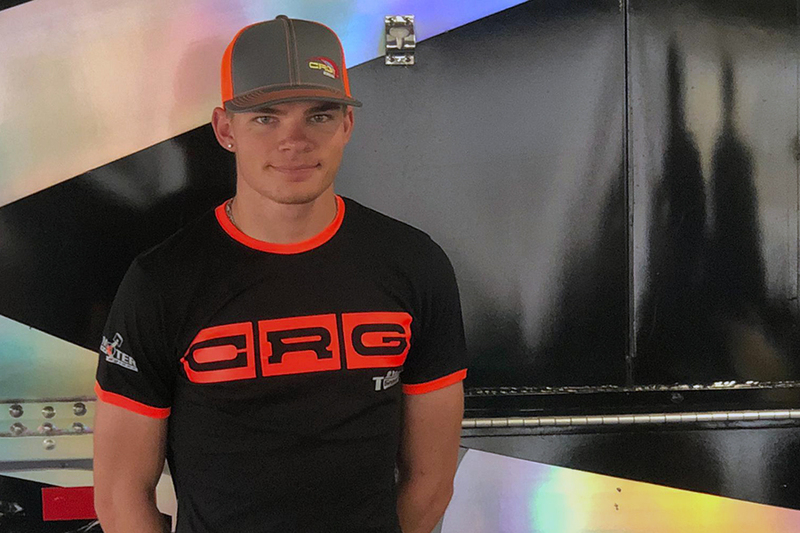 The American arm of CRG confirmed through their own social media that Florida native Austin Garrison has joined the racing team for the major events in the United States, competing primarily in the TaG senior category while also select shifter races. Garrison started his career at a young age in 2003 at just 5 years-old, winning his first titles in 2010 in the Cadet Sportsman and Mini categories. Austin also gained experience in Europe in KF3 and, in 2014, he won the US Rotax Grand Nationals in Utah in the Junior class. Garrison has been successful in many different series and with assorted engine platforms, including Rotax and ROK, along with many titles in the FWT. In 2016, Austin finished fourth in Italy at the ROK International Finals and the following year he raced in the OK class in France at a CIK-FIA event.